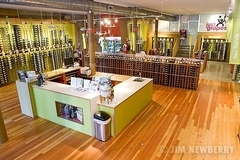 Just Grapes brings the passion of wine country to Chicago by simplifying the world of wine for local consumers. A wine shop supporting the idea that wine education should be simple, fun and functional, Just Grapes specializes in private and corporate wine-tasting events, wine retail and wine education. 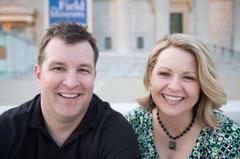 With an already combined household, we didn't need or want the usual registries. We both love and appreciate wine and therefore decided to offer a wine registry through my friend's wine shop located downtown Chicago. Don selected a group of wines and guests were able to select and purchase the wines and even have them delivered to us. Everyone loved the concept and we now have a wonderful start to a wine cellar.